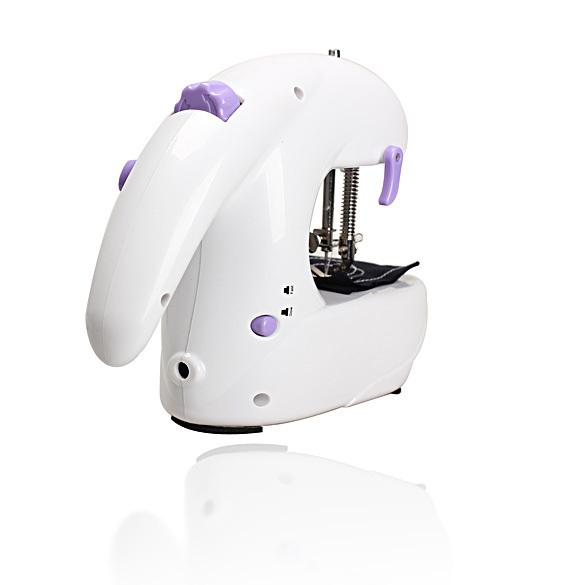 Hand held or desk top sewing machine Sew clothes with single sewing line Selective Gear fast/slow Streamline appearance design Fix, mend or repair in seconds More portable than your big bulky sewing machine Ideal for household, offices, students and craftspeople Light weight, compact and portable to carry Powered by 4*AA 1.5V battery or AC/DC 6V 1000MA adapter(not included) For correct operation, please see instruction manual before using Size: Approx.200*150*80MM(L*W*H) 1.Method of Operation: Use hand wheel to raise the needle to the top position, lift the cloth pressing board by using the back handle and then put the cloth; Put down cloth pressing board, clockwise rotate hand wheel for some rounds to switch on for sewing; There is an adjusting speed switch with "high" and "low" gears at the back of the machine, it is high speed gear when pressing the button, press it again, it is low speed gear when it rises. Use hand to guide cloth for straight or turning movement. Make it move naturally and do not pull forcefully so as to avoid to break or jump thread. 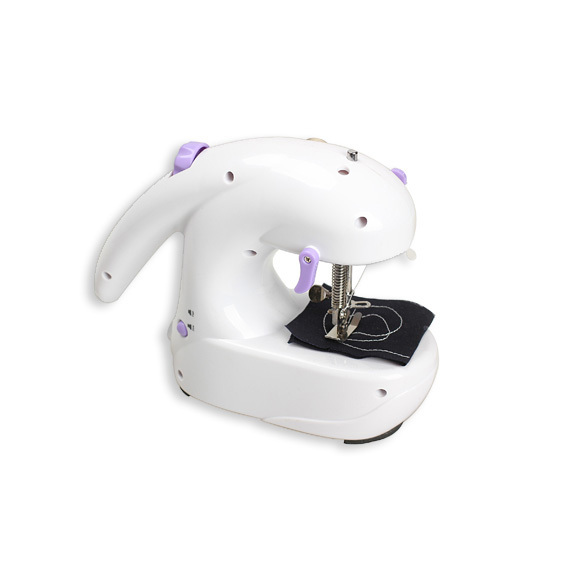 Turn off the motor after using and rotate hand wheel to raise the needle to the top position. Pull out the thread from needle for 15-25mm and cut the thread. 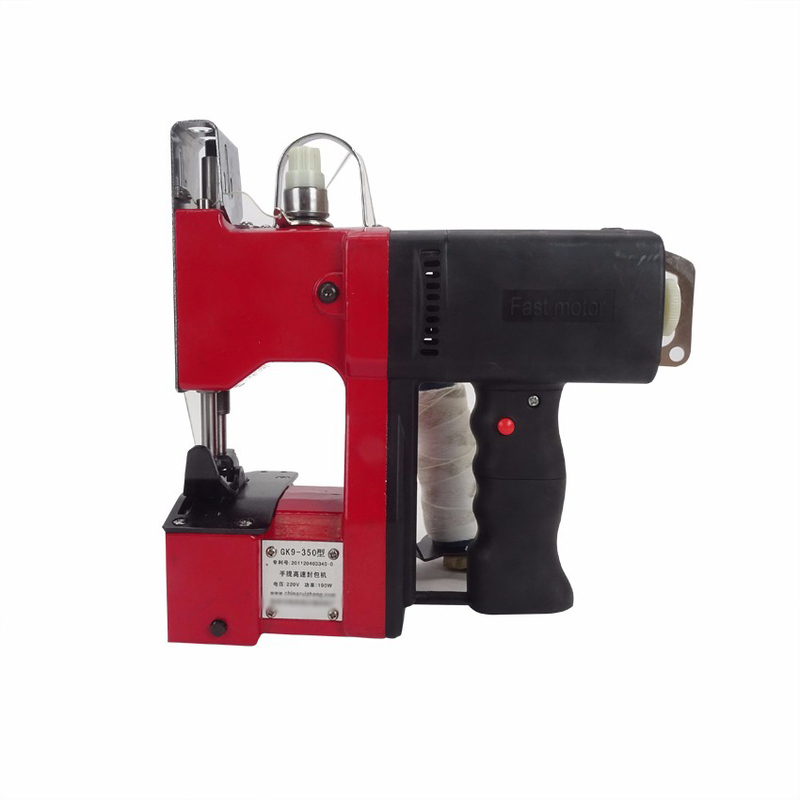 (Attention: Do not pull forcefully thread or cloth to avoid to damage the machine parts or needle.) Raise cloth pressing board by using cloth pressing board handle. 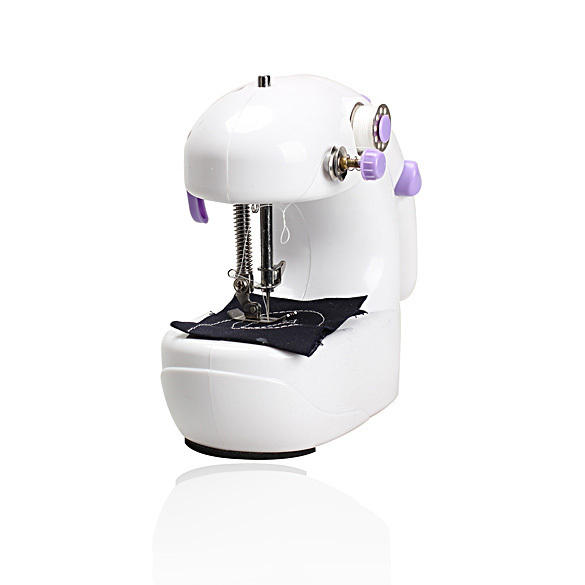 Lightly pull out cloth, upturn the sewed cloth and draw out thread, then knot in accordance with attached drawing 2. 2. Method of knotting: Firstly draw the last line thread in threader; Draw the remained thread adversely go across threader; Draw 10mm thread from the last line to form a thread ring; Pull out the thread from the remained thread and tighten it to complete knotting; Or pull the thread tail on the face to the back face of cloth, in this case steps 1-4 are not allowed. 3. Adjustment of density of stitch: If the stitches are too dense, anticlockwise loosen the adjusting screw, or vise versa. 4. Change of Needle: Loosen needle fixing screw to dismount old needle and fix new needle according to correct method and position. Attention that the plane of needle bar should face the direction of needle fixing screw. 5. 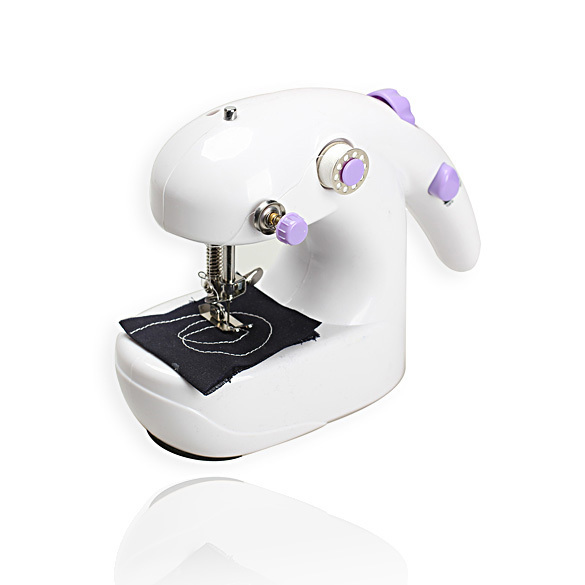 Sequence of taking out cloth: Adjust needle to top position; Loosen thread; Raise cloth pressing board; Lightly pull out cloth and cut thread; Pick the end of a thread. 6. 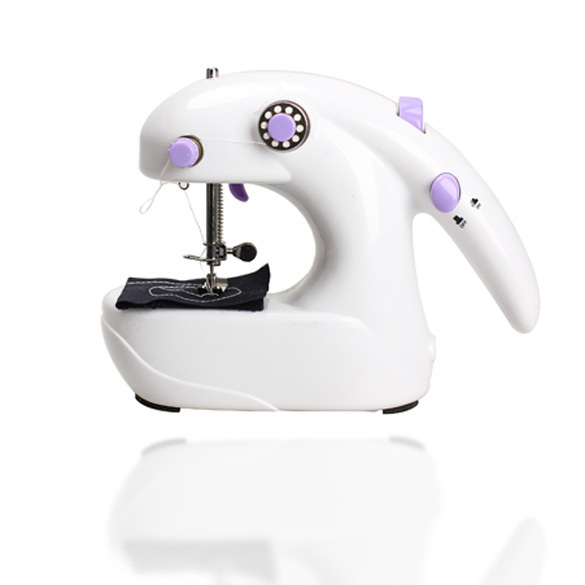 Attention: The rectifier, if any, should be 6V, 750MA; The machine is not suitable for sewing loop cloth, sweater, flexible knitted cloth, underclothes and drawers; The needle of the sewing machine is very sharp, be careful when using; Pull out power source after finish to use if external power supply is used.